All My Movies is a movie database manager. 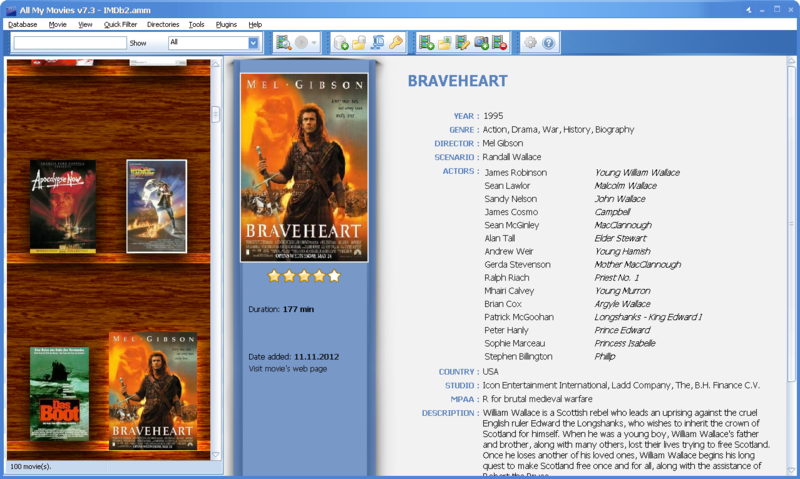 The main features are demonstrative and handy vision of all your movie collection; importing screenshots directly from your movie DVDs or AVI files to the database which can help you remember movie using your visual memory and evaluate quality of the movie's picture; fast movie search by any of the database fields; export your movie collection to HTML, plain text or Microsoft Excel format; easy to use loan manager. I have tied several movie organizing programs, and most of them are pretty good. I wanted some simple, easy to use, and preferably freeware. I've recently discovered Movienizer and it didn't screw up. It's a great soft, does it's job perfect! -DVD covers. It seems AMM has the highest resolution auto-downloaded covers, and also shows screenshots (which I didn’t think was a big deal) but really appreciate now for getting a more accurate “feel” of a movie while perusing. Also nice is when you click on any detail in the movie information field, there’s the option to then sort all movies that share that criteria - like specific genre, director, rating, etc. 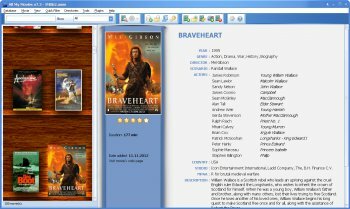 I tested Collectorz Movie Collector, DVDProfiler, Movie Organizer, and a few others but they were more intensive, muddled, and didn’t always have the options or graphics I wanted. This is an awesome program, and worth buying. It even imports Ant Movie Catalog's movie database file. With this build, the program crashes opening the database, but I emailed the author, and he sent me a older version of the plugin and now it works. In the next build (releases in about a week), this issue will be fixed. He responded within a half-hour, and a few hours later sent me the plugin that made it work. He even offered me a discount!